When it comes to buying a major piece of furniture, it is important to understand that the name that you are buying is trusted. This is no exception when it comes to massage chairs. 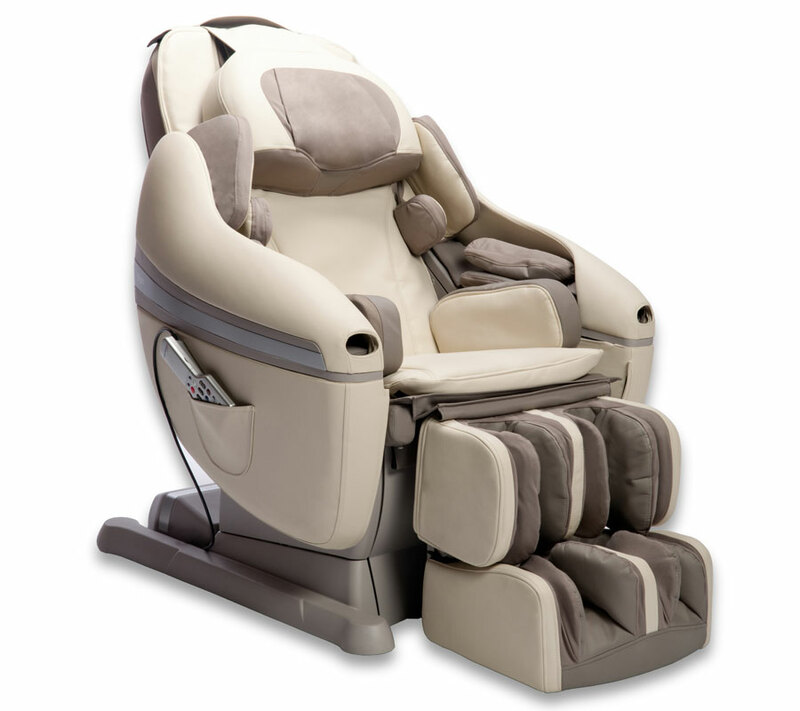 Sogno is a trusted name in the massage chair industry and has decades of experience in manufacturing these home spa items. Over fifty years in business, Sogno has numerous different chairs that have graced the homes and offices of people from around the world. The Dreamwave is a chair that is upholding this trusted name and is continuing to provide an amazing chair. From customizable features to an idea that a massage chair should have options, keep reading to learn all of the amazing characteristics that make the Dreamwave an awesome massage chair. One reason that the Sogno Dreamwave is an amazing chair is because of the sheer amount of coverage that it provides. Individuals who use the chair can get a massage that is more comprehensive in its coverage area than any other chair out there today. The reason that this is possible is because of the different air bags in the machine that provide the pressure needed to get a thorough massage experience. This chair has over one-hundred air bags. This, coupled with over ten different motors and additional rollers, allows the entire body to receive that spa and massage experience. Another reason that the Sogno Dreamwave rises to the top of the pack when it comes to massage chairs is because of the programming options. Preset programs are great because they allow the user to select a program and let the chair do the work. Those that purchase a Sogno Dreamwave will have the option of choosing from over seven different preset options. That means that with the click of a button, the chair will start the massage and allow the user to relax and enjoy. But, for those that want a customized massage, that is an option as well. The presets are not the only option. There are manual selections that can be made as well. These options include allowing the user to select the type or feel of massage and the location of focus. There are options that include movements like kneading massage or shiatsu, among others. Therefore, the chair is not only pre-programmed but customizable as well. When many think of a massage chair, they think of a stationary chair that sits and massages in one position. The Sogno Dreamwave has taken this image and turned it on its head. The Dreamwave allows individuals to move the chair into a reclining position. That means that the feeling becomes much closer to laying in a prostrate position like at an actual spa. Further, by laying in a reclined position, the body is more susceptible and prepared to receive an effective massage. The chair can extend into a one-hundred-sixty degree incline. Further, it comes equipped with a padded footrest as well that can be angled for the perfect positioning. The Dreamwave is about style as well as functionality. The machine has a gorgeous finish. The faux leather looks real without the moral struggle and comes in three different colors. For those that purchase, there will be a decision to choose between black and brown as well as a crimson hue. Further, the chair is made from materials that are meant to last. Engineering efforts were made to make a massage chair that is highly durable. There is also a pocket that holds the remote control that individuals need to utilize the chair and all features. It is within easy reach, too.